One month ago, FedererFan07 reported that Roger Federer and his longtime agent Tony Godsick, were leaving IMG after letting their contracts expire. Today, (via Sports Business Daily), the two are in the process of forming their own sports agency, financial and tennis sources said, a move that would make the Swiss star one of the few athletes still near the top of his game to go into that line of business. Godsick represented Federer for more than six years at IMG before Godsick and Federer in May parted ways with the company after their contracts ended. Godsick did not reply for comment last week. Tennis sources said Godsick’s credential at Wimbledon, which is entering its second week and which Federer has won six times, lists him as being with RF Management. It’s unclear precisely what role Federer will play in the new firm, though it is not unprecedented for an active, star athlete to take a management and equity role in an agency. Oscar De La Hoya formed Golden Boy Promotions to stage and promote fights, including his own. Mark McCormack’s first client at IMG, Arnold Palmer, owned 10 percent of the firm until McCormack’s estate sold the company to Forstmann Little in 2004. “Tony has had an outstanding record at IMG as a strong and positive agent for Roger, so it would certainly be natural for him to start his own thing with Roger,” said Donald Dell, group president of Lagardère Unlimited. Dell started his own firm in 1972 with tennis greats Stan Smith and Arthur Ashe, though they were only clients, not equity holders. The firm ultimately became ProServ. Godsick, who resides in Cleveland, is best known for his work with Federer, but his past clients have included players Tommy Haas and Lindsay Davenport, as well. Federer earns $40 million to $50 million annually, most of that in off-court endorsement deals. The fees for those contracts still flow to IMG, so revenue for the new group would come initially from any new deals and exhibitions for Federer. Sources said Godsick has sought investment money and is believed to have brought on board partners. That activity would suggest that Godsick’s vision must be greater than just representing a few tennis players, said Colin Smeeton of PR Partners, which represents Shaquille O’Neal and other athletes. Otherwise, Smeeton said, Federer could just bankroll the operation. If Federer succeeds, it could be, as Smeeton said, a template for how stars can stay active in the game once their careers are over. 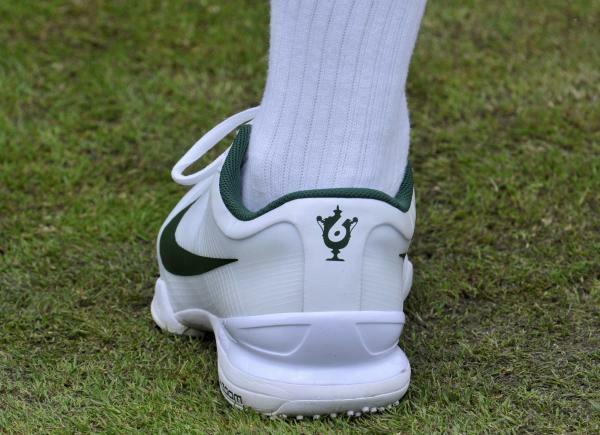 Roger Federer is currently playing at Wimbledon this week. He faces Mikhail Youzhny in the quarterfinals Wednesday. See the Federer breakdown of the 2012 Wimbledon draw here. Watch full coverage of the championships on FF07tv. Download the Wimbledon iPhone app here.